What’s Better? Multitasking? or Doing One Thing at a Time? 33 Dots – A Bear Juggling? Today I would like to show you the process of the 33 dots. It’s a game my friend Meg Konovska taught me. It loosens me up as I try to see the picture, then colour it. Today it turned into a juggling bear which reminded me of multitasking. Next I draw the lines around the dots without any lines crossing. Then I try to figure out what it is. I turn it around and around until I see something. This time I saw a bear. I used pencil crayons – not watercolour pencil crayons this time. I don’t think the paper I chose is for pencil crayons as there is too much texture. But I will try again. This is where I tell you a story about the picture. After some thought as I was colouring the picture, it came to me that we do this a lot – try to stand on one foot while balancing something in one hand. It’s a trick. Sometimes we can do it. But if there is anything that disturbs our concentration then the ball comes tumbling down. And that reminded me of multi-tasking. When we try to do more than one thing at a time. Most studies I have read say that it turns out this practice is not a good thing – for your brain or the task you are doing. Here is a good report about multitasking. 12 Surprising Reasons Multitasking doesn’t work. It can make you overeat. You’re not actually good at it. You can’t only handle it once. I wrote about cell phone usage for my next podcast (next Tuesday on HopeStreamRadio) – because I feel we are overusing our phones. Cell phones can keep us from paying attention to those around us. I have been watching when we walk, or when we are in the store and the number of people talking and walking with cell phones is huge. As for “multitasking” or “task-switching”, I find there are sometimes I need to do it. When I do the laundry I am not going to wait for each load to be finished – I am going to do something while I am waiting. The same for cooking a meal – sometimes there are a few things that can be done ahead, and when I am preparing one thing I can still prepare another. Anyway that’s my thoughts about my painting today. God tells us to search for wisdom, to seek understanding, and be aware of the world around us. We can’t do that if we are multitasking, especially with our cell phones. That’s what I am working toward – armloads of life. What about you? Here is an example of one of Meg’s paintings. This entry was posted in 33 dots and tagged 33 dot game, colour, focus, imagination, Meg Konovska, multitasking, Proverbs 8:21, Scripture on January 10, 2018 by JanisCox. I can’t believe one week has gone by so quickly. Breathe. Janis. Breathe. That’s what I always tell others when they say they are stressed, angry, frustrated or just plain tired. Breathe. Why do I use that word to help them and me? Because that is what can bring God into the situation. By stopping to listen, to quieten our hearts and spirits, God speaks and we can listen. I’m doing it right now. I know I am supposed to “write for 5 minutes” but when I am not typing I can stop and breathe in His Spirit. Ask Him for inspiration. Let Him bring about a restoration. I have a plate at home that always reminds me to stop and take a breath. 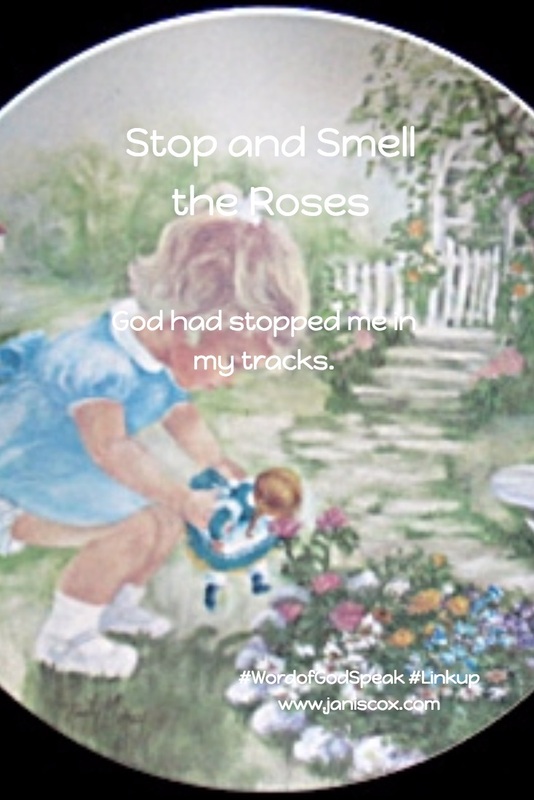 It says, “Stop and smell the roses.”. I think we forget to do this – all the time. We get on a roll, we keep going and doing and going and doing. Until sometimes we just stop because we have come to the end of our strength. 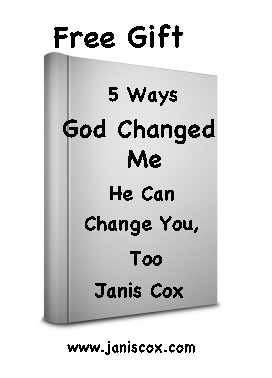 You can read all about how God stopped me in my tracks and forced me to take a breath so I could listen to Him. That’s a good thing though – coming to the end of our own strength. I am reading The Story of With by Allen Arnold. I heard him at a writers’ conference last weekend. He talks about trying to do everything in his own strength and how that will eventually implode and even explode. Instead he suggests we need to live in the land of With – With God. In that land we can slow down, inhale God and we can find joy and peace. Scripture talks about quietening our souls. We can do that by focusing on our breathing and nothing else. As we take in breaths, in and out, we know we are creatures created by God. He is breathing right there with us. The Spirit of God has made me, And the breath of the Almighty gives me life. (Job 33:4, NIV). We can hear His Voice, feel His presence, learn His wisdom. Life is breath. So breathe. Here is a great song by Jonny Diaz called “Breathe”. Five minutes are up. It’s your turn. What are your thoughts on the word “breathe”? click on the icon below and try your hand at writing for five minutes. Find out more about my award winning children’s books at my bookstore. A Growing with God series. This entry was posted in Five Minute Friday and tagged acting in God's strength, Allen Arnold, breathe, focus, God, Job 33:4, stop and smell the roses, The Story of With on February 3, 2017 by JanisCox. For the next couple of weeks we are going to look at verses about prayer, starting with 1Thessalonians 5:16-18, we are looking at Joy Prayer Thanks. On April 16th I will be joining with Conforming to the Truth who will be studying 17 books of the New Testament in 17 weeks. (I will be taking a pause after every 6 weeks for review – I believe review is necessary to hold these scriptures in my mind). We are using the S.I.M.P.L.E. Method of Bible Study to study each passage. Rejoice always, pray continually, give thanks in all circumstances; for this is God’s will for you in Christ Jesus (I Thessalonians 5:16-18, NIV). Joy is not dependent on our circumstances. It is a joy based on our knowledge of Christ, what He has done for us and is doing for us now. Joy is consistent. Happiness ebbs and flows. Prayer is not for “crisis only” but a continual conversation with God. I wrote about prayer at A Beautiful Life Ministry. Be thankful through all things. Look for blessings even in the dark times. Keep focused on Jesus. How do I make prayer a living thing? How do I remember to be thankful and joyful at all times, in all circumstances? I heard so much in this time of reflection on the words joy prayer thanks. Block out extraneous thoughts and focus. My best time of the day is morning. I need to give Him my first fruits. Make a promise. Find an accountability partner. Heavenly Father, You are so awesome. I love talking to You. You make all things clearer, calmer and full of life. You inspire me. I feel the joy that Christ brings. We can make our lives full of praise, thankfulness and joy – all thanks to You, Jesus. In Your name. Amen. This entry was posted in Word of God Speak and tagged 1 Thessalonians 5:16-18, focus, joy, prayer, SMILE, thanks on April 2, 2016 by JanisCox. 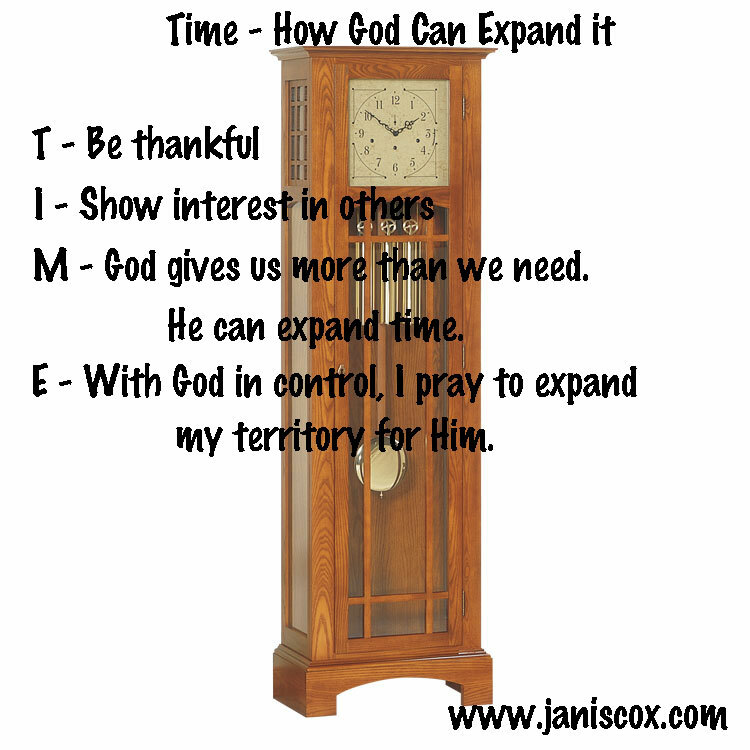 My Emphasis – Where is yours? The reading this week for Lent led me to look at where I put my emphasis. You can either listen to the podcast or read the show notes. Either way I would love to hear your thoughts. On Tuesdays you can hear my podcast on Hope Stream Radio. Then anytime you want to listen you can visit my page on HopeStreamRadio. Here are the show notes for this week’s program for those who would rather read than listen. I was studying a familiar passage in the Bible the other day and God changed the emphasis of the words. Mark 12:41-44 where Jesus is watching the people give to the treasury of the temple. I looked at verse 44. My eyes had always looked at live and poverty. Totally poor, the widow was giving way more than the rich who gave such a small percentage of their wealth. This time however I saw the words, Put In Everything. I know that at this point Jesus has been watching all the people give to the treasury – in 13 upside-down trumpet shaped vessels. This time God took me away from looking at the money aspect and made me look at the words “put in everything she had”. She had not much but she put it all in for God. Now she has only God left. She had emptied herself completely. We have so much – and not just in money but in time, inspiration, creativity, family, love and education to name a few. And the next week what passage came next in my Lenten study but Mark 14:1-9. In this story we read about the anointing of Jesus by a woman at the house of Simon the Leper in Bethany. Reading these two passages gave me a double look at whole-hearted worship. Giving it all to Jesus. Where is my Emphasis? My question is: Are we investing it ALL to His glory? I see Michael Hyatt’s book, Living Forward through God’s eyes. When Michael says to take a long careful look at our lives – investigate, think, pray and ponder He is talking about our WHOLE lives. You, faith, health, spouse, kids, finances, friends, work and hobbies. But you may choose any accounts you want. To give everything to God we need to see our every thing. In order to give every thing I need to know where to put my emphasis. What does the LORD require of you? To act justly, and to love mercy and to walk humbly with your God. Does the LORD delight in burnt offerings and sacrifices as much as obeying the voice of the LORD? For I desire mercy, not sacrifice, and acknowledgement of God rather than burnt offerings. Stop doing wrong, learn to do right. Seek justice, encourage the oppressed, Defend the cause of the fatherless, plead the case of the widow. All those verbs are needed to be added to my life profile. Act, love, obey, acknowledge, seek, encourage, defend, plead. 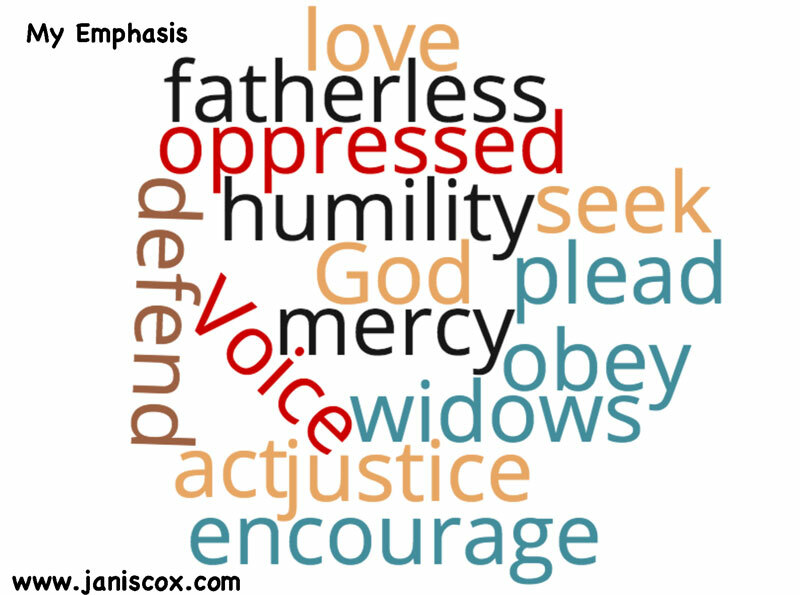 Justice, mercy, humility, God, the Voice, oppressed, fatherless, widows. I made the word art to remind myself of the emphasis I need in my life. I haven’t started my formal written life plan yet but God is giving me Scriptures and words to help me when I do. Those words will be my emphasis. This entry was posted in Hope Stream Radio and tagged focus, Hope Stream Radio. 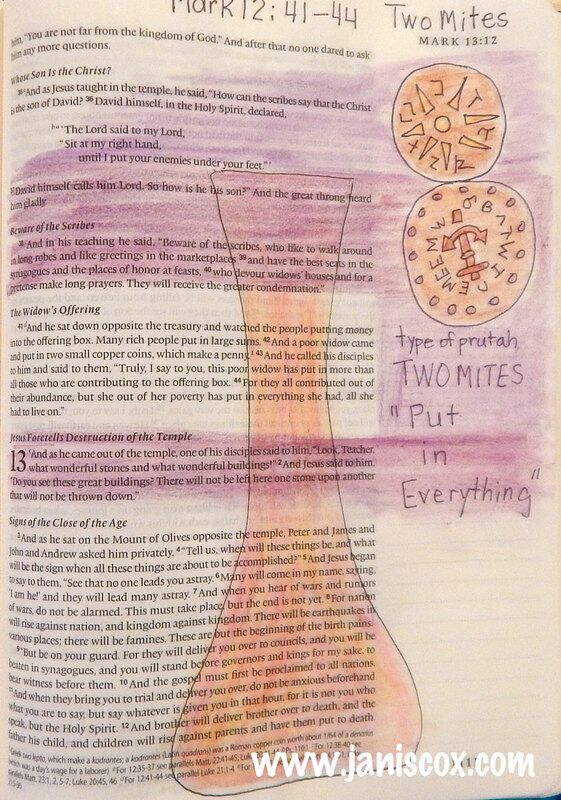 emphasis, life, Living Forward, Scriptures, word art on March 16, 2016 by JanisCox. This week I thought we should continue to look more closely at the word of God, which we studied for the past week. How did you do with your memory work? B——, r—– are those who —- the —- of — and —- it. Luke ??:?? Check the bottom of the post to see if you got it right. I have started a Facebook Group called Word of God Speak Community. I would love you to join me there. We will find different ways to study the Scripture for the week. If you have any other ideas please share them. Here is our Word of God Speak Community Facebook Group. You may add other people you think may be interested. Today I would like to continue on with another passage about The Word of God using the SIMPLE Method of Bible Study. The Word of God is living and active. Sharper than any double-edged sword, it penetrates to even to dividing soul and spirit, joints and marrow; it judges the thoughts and attitudes of the heart (Hebrews 4:12, NIV). This is a little more of a challenge for memorizing but I know you can do it. Stick with me at our Word of God Speak Community Facebook Page. What did I find out through looking up cross-references; googling; and from the words themselves? There seems to be some argument over who is the author of Hebrews. Because it doesn’t start with a salutation the claim of Paul being the author is suspect. Whoever wrote Hebrews very strongly told the story of the resurrection and our gift from God to live eternally with Him. I looked up so many “word” passages. I thought I would share them in a drawing. I found 16 that I made into a Wheel. You can download this picture as a PDF. M – Make a list of thoughts and questions. I do know how important the Word of God is. When I grew up we didn’t read the Bible as a family except for a few tries over the years. But my grandfather always read from a devotional and the Bible after supper. When we visited them – not very often – I would hear the Word and sometimes be asked to read it out loud. As I think back it might have been The Upper Room that he used. I don’t recall any discussion after reading the passage and devotional (which I think is essential). When I made my decision that Christ would be my Lord and Saviour, I was hungry to learn more. I wanted to read the Bible but found it very difficult. We had a family Bible in the King James Version. I couldn’t understand it. I became frustrated. A friend suggested I buy a New International Version. But still nothing. The same friend suggested I ask Jesus to help me understand what I read. I gave that a try and hurrah – I understood better. I still ask God to open my understanding as I read His Word. I’m excited now, not only to read but to hear what God wants me to know TODAY. Since his Word is LIVING and ACTIVE it can change as I change and as my circumstances change. P – Pray – Remember not to talk too much to God but instead listen to His Words. L – Life Application: What did God tell me? Now that was entirely weird. I didn’t know what it meant. I checked various biblical references for quick and quicken and quickening. I read that “cut to the quick” could mean hurt, or emotionally hurt. But when they heard this, they were cut [a]to the quick and intended to kill them (Acts 5:33, NASB). 2. It also meant to get to the core of the message and stay focused. 3. “Quickening” meant to give life to dead flesh. God speaks through quickening. It is the Spirit which quickens, the flesh profits nothing: the words which I have spoken unto you are spirit and are life (John 6:63, Darby Translation). 4. The literal Greek meaning of “quicken” means “to make alive, give life or vitality” (Strongs #2227). I think what I am learning is that the Holy Spirit makes God’s Word come alive. Any passage will help me with instruction or correction. And God will ensure that he leads me to the passage I need to study for that day. And as for myself – I am to stay focused on what He wants me to do. I also want to remember NOT to grieve the Holy Spirit. If God tells me to do something I had better do it – and do it immediately! E – Exit with a prayer. Lord, You can cut me to the quick – either focus me or cut off something that is not of You. I know I am to be set apart for You – to be Holy at all times. Thank You for being such a loving, caring, gracious God who knows me. You have revealed so much to me today. You talked more than I have heard in a while. As I delve deeper into Your Word help me to change and refine and become closer to whom You want me to be. In Jesus’ name. Amen. The song Refiner’s Fire also came to me during prayer time. This reminded me of the podcast I did for this past week – To live in the Holy. Here is Refiner’s Fire for you to enjoy sung by Brian Doerksen. Please join the Word of God Speak Community. Follow the prompts if you wish to link. Blessed, rather are those who hear the Word of God and obey it. Luke 11:28. Please excuse the “C” for “G” for God – you can change it by colouring it. 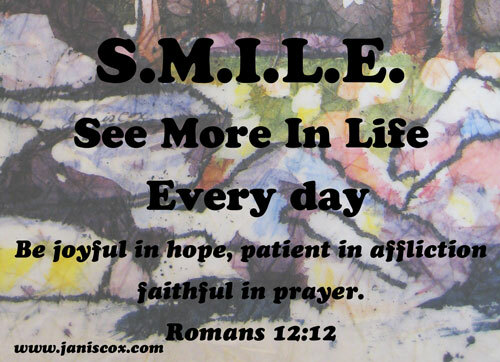 This entry was posted in Simple Bible Study, Sunday Stillness, Word of God Speak and tagged Brian Doerksen, double-edged sword, focus, quicken, Refiner's Fire, SIMPLE Bible Study, word of God on November 7, 2015 by JanisCox. Sunday Stillness – Is Distraction a good thing or bad? Why? Because I feel God is calling me to get as many people as I can into the Word, so He can talk to them about their lives. So my new title is Growing Through God’s Word. Who? Anyone who desires to listen to God – men and women. 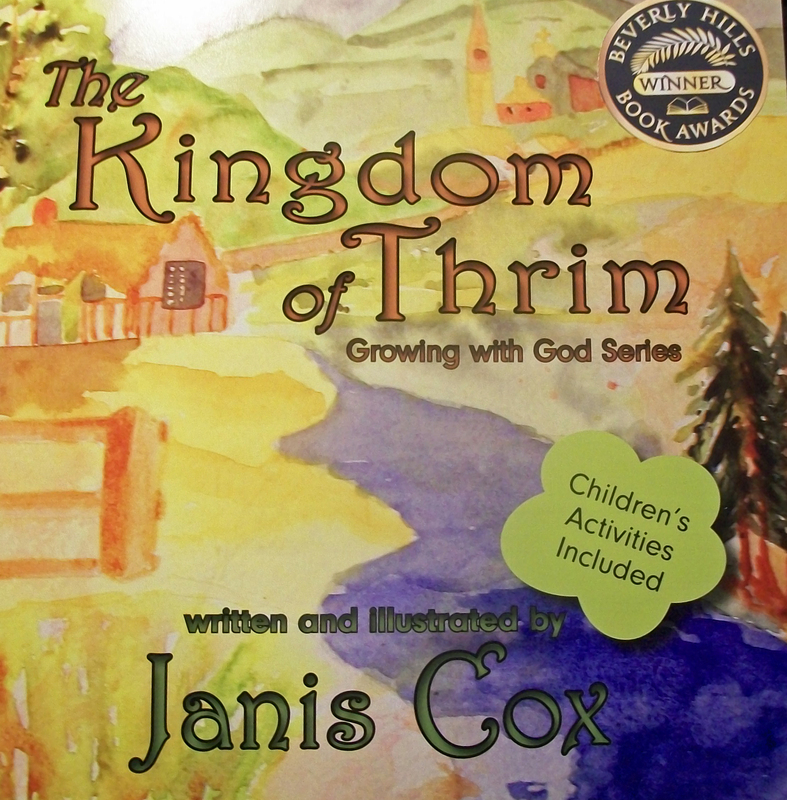 And for children I will write children’s books that will focus on Growing With God. 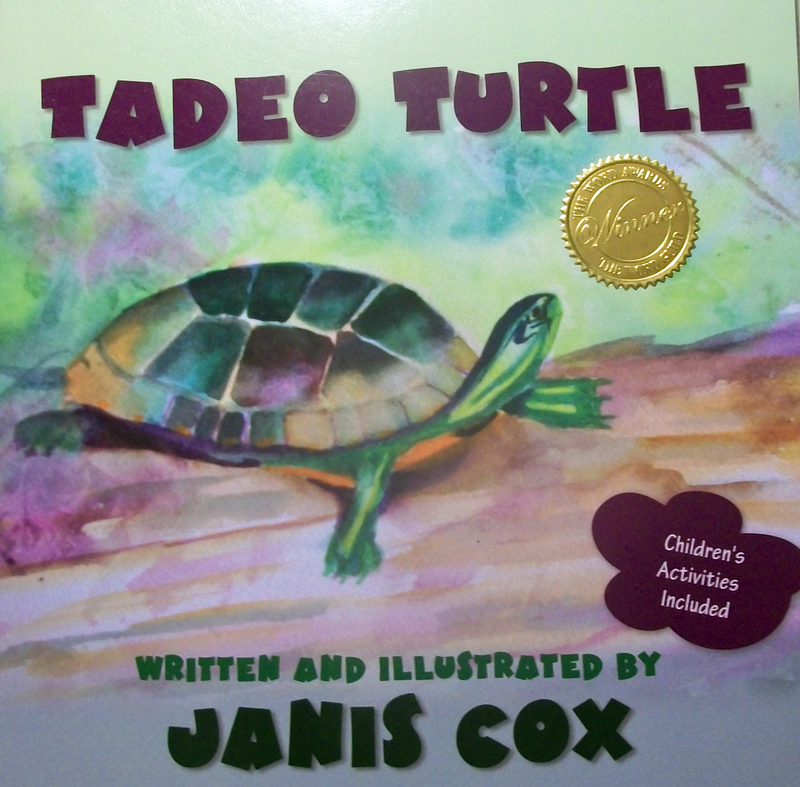 Tadeo Turtle was the beginning. What? I want to follow God’s Word and speak about what He is saying to me and inspire others to listen to what He is saying to them. And as well as blogging I will venture out into speaking. You can listen to me at Hope Stream Radio. I am scheduled on Tuesdays and Saturdays. You can also listen to all my former podcasts on my Hope Stream Radio page. I have joined a Me Too Moments for Moms and am featured as a Mentor. But then after making my list, thinking it through, I got distracted with getting ready to go away (we are off to Arizona in three days of the time of posting this) and life in general and emails, social media, connections. I am not in a monastery or cloistered in a small cell – I am living, breathing and acting on everything. This week started off by finally seeking help with my glasses. I had noticed that while driving I couldn’t see the signs without tilting my head downwards. My optician corrected it with a tilt. 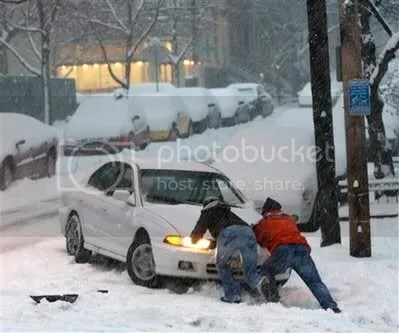 Great I could see. But it hurt. So I returned the next day. He adjusted it. Next day, I returned again – it still hurt. Today, I think it is almost fixed. I am waiting until the end of the day to see if I have to return. That was time taken away – but I figure well spent as I can see clearly now. I did a few phone calls to set up our return to Arizona. Still quite a few to do – the dreaded Bell call – I keep putting it off. (for my American readers – that is our Canadian Internet, phone provider). But I also went outside and cut back our snowball tree and went for walks. I read, I rested from jetlag. I connected with many people I met at the conference. I did my blogs. And I know that all things work together for good – and I continue to do all things. They may feel distracting but they are truly living for God. Just to prove the point – God showed me again – interrupted to go with my hubby and deliver something special to someone. Praising Him for all distractions that are part of His plan. This weekend is our Canadian Thanksgiving. Let’s all give thanks in all circumstances. Praising God for always being with us. Lord, we all live full lives on this earth – sometimes with focus and other times with distractions. Help us to live our lives fully for you in all we do, distractions and all. In Jesus’ name. AMEN. Have a blessed Sunday Stillness. This entry was posted in Prayer, Sunday Stillness and tagged distractions, focus, God, Janis Cox, life, living, Romans 8:28, Sunday Stillness on October 10, 2015 by JanisCox.